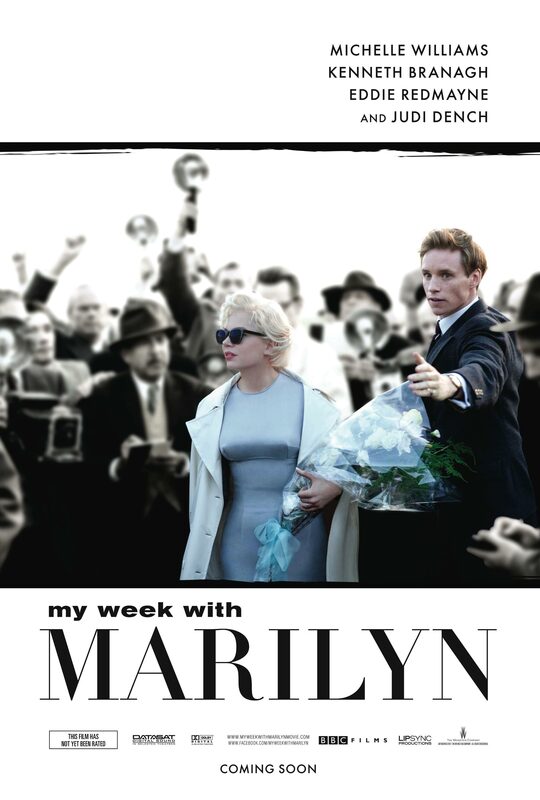 As you may guess from the title, the story centres around Marilyn Monroe, played by Michelle Williams, however, it is told from the point of view of Colin Clark (Eddie Redmayne), whose memoir the film is based upon. The story spans more than just a week, as it tracks the making process of a film by Laurence Olivier, The Prince and the Showgirl. Colin is 3rd assistant director on the production, so basically does whatever task needs doing, which in this case is often checking why Marilyn is late onto set again. Through this, he develops a special relationship with her and becomes one of the few people she can trust in the torrid world of fame and film. In short -yes. I was absolutely spoilt for choice in terms of the cast, which included some of my favourite British talent: Dominic Cooper, Eddie Redmayne, and Emma Watson. Of course, the indomitable Kenneth Branagh played a believable Laurence Olivier and Judi Dench's portrayal of Dame Sybil Thorndike created one of the most likeable characters in any film I've seen. Even then, most of the parts, big or small, were a recognisable face, Zoe Wannamaker, Simon Russel Beale, Julia Ormond, Derek Jacobi, Toby Jones and even Mr Carson from Downton Abbey made appearances. All were typically on form and added to the overall Britishness of the feature - it is a BBC film after all. Now, let's talk about Michelle Williams as Marilyn. I've seen mixed reviews of her performance, and most of the negative ones focus on one fact - she is not Marilyn. Let's get one thing straight: there will never be another Marilyn. It's sad, but it's true, just like the fact that there will never be another Grace Kelly or Audrey Hepburn. I would describe Michelle's performance with just one word: ambient. She seems to give off light, just as the real Marilyn did. But what she also does is to provide an insight into a very troubled and scared girl with the outward appearance of a goddess. The events in the film also shows what it must be like to be that famous, and how lonely it can be. I hear that Scarlett Johansson turned down the part, so I don't know who would have done the better job , but I was personally very happy with Michelle Williams. Overall, the movie is pleasantly attractive to watch. I think this is down to a mix of Simon Curtis' direction, the accurate depiction of the period and the English locations. They seem to have gone to the trouble of filming in the actual place the characters are supposed to be - Windsor Castle, Eton and Pinewood Studios all make appearances. I think that by using the real places instead of studios, the film emphasises the fact that it is a true story. Most of the costumes appear to be accurate reproductions of outfits Marilyn actually wore around that time. 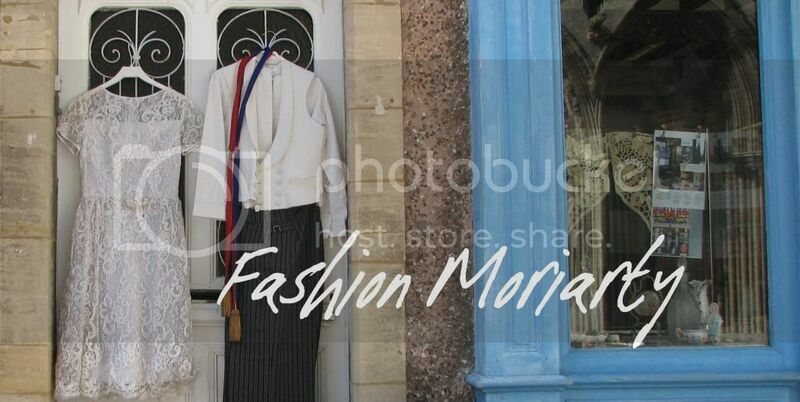 They even made sure to recreate the wardrobes of Arthur Miller, Laurence Olivier and other characters based on people who were photographed a lot at the time. Aside from these, I think the wardrobe department did an excellent job of maintaining the dress sense of the age. I was particularly impressed by the outfits of Emma Watson, herself playing a girl in the costume department. She represented what I think of as the typical fifties girl, all full skirts and cropped cardigans. Plus she always wears the same necklace which gives her character an extra hint of personality. If you can find a cinema where this is showing, go and see it! If not, it will definitely be worth buying a copy when it comes out on DVD. I can't wait to see this film. True, there will never be another Marilyn, but I like Michelle Williams. She's got great acting chops and I love the choices she's made in her career. I haven't seen her as Marilyn, but I'm expecting a wonderful performance.